Due to a popular demand, Magpul has finally created and released its rifle magazine PMAG-inspired tactical Field Case cases for the iPad mini, Samsung Galaxy S4 and S3 devices. Although a little late, the move marks the company's first step into making durable and grip-tastic protective cases for devices other than the iPhone and now iPad. 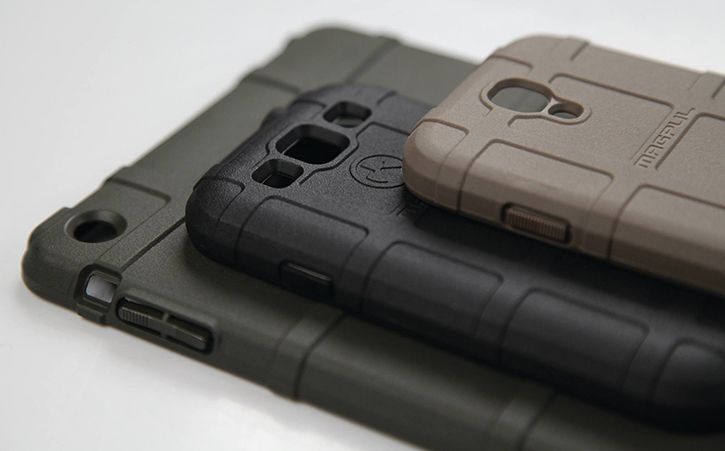 We were really pleased with Magpul's Field Case cases for the iPhone, and have always thought Android users were missing out on some really terrific low-cost cases and that Magpul should also consider making cases for other popular devices. And so the day has finally come, and Galaxy S3 and S4 users can finally join in on the action! 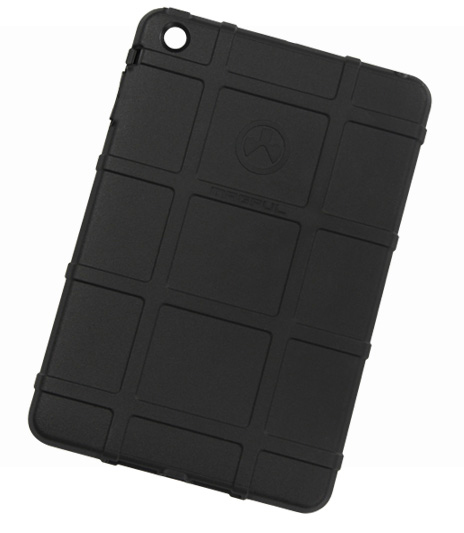 It isn't immediately clear whether Magpul's Field Case for the iPad mini will be compatible with the Retina iPad mini as well, and from the image above it doesn't look like Magpul designed its Field Case with the new Retina ipad mini in mind as there is no cutout for the back-facing noise-canceling microphone. We do believe that the Field Case will still fit both models of the iPad mini despite that small detail. The durable and semi-rigid TPU Field Case case for the iPad mini is available right now for $27. No word on an iPad Air case yet, though we may still see something from Magpul in the near future if enough people show interest. 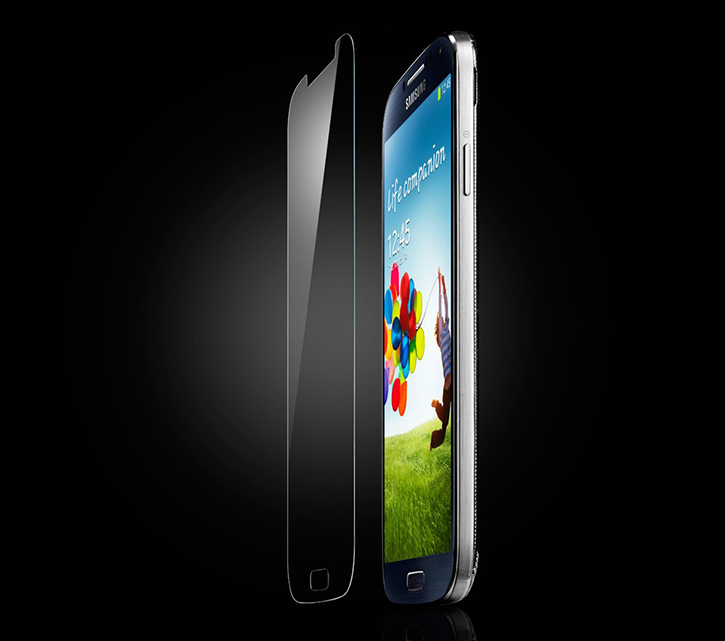 Samsung Galaxy S4 users better rejoice, Spigen has released the world's thinnest tempered glass screen protector with the new Glas.t Nano Slim. Available only for the Galaxy S4 for $35 - until Spigen decides to release an iPhone 5 variant and we hope it does soon, the new Glas.t Nano Slim features an Oleophobic coating and a thickness of just 0.15mm. That is insanely thin for a tempered glass screen protector with a surface hardness of 9H. The Glas.t Nano Slim is so thin that it does not interfere with the S-View Cover and Flip Cover accessories. Because it's so thin, the Galaxy S4's home button is no longer recessed by the glass compared to thicker versions of Spigen's Glas.t. Generally, glass screen protectors are preferred over plastic ones because they offer unparalleled touchscreen interaction, shatter-resistant protection and tougher scratch resistance. Lo and behold, Mophie was quick to release a Juice Pack battery case for the HTC One. It took the company months to release its iPhone 5 battery cases, but as Android gains more and more popularity with devices like the HTC One and the Samsung Galaxy S4 standing on solid ground as the Android handsets, accessories for these are becoming more prevalent. Mophie's Juice Pack for HTC's One is a svelte $100 battery case packing a 2500mAh rechargeable battery enough to replenish your One with nearly a full extra charge. The Juice Pack is designed to follow the original contoured design of the One as much as possible while featuring an integrated volume button rocker and support for the universal IR remote button. You can of course charge and sync your One thru USB while its protected inside the Juice Pack. 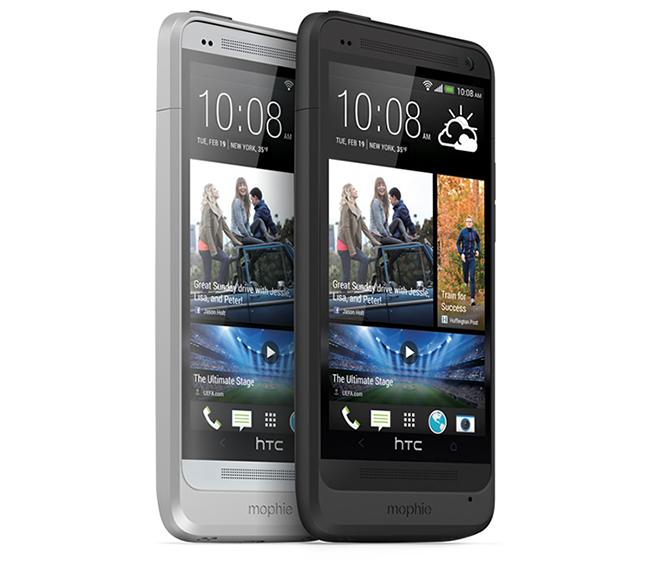 Mophie's Juice Pack for the HTC One is available starting today in a smooth rubbery coated black finish, as well as a silver equivalent which will only be available in mid-May. Mophie has yet to announce plans to release a version for the Galaxy S4. Logitech Revue is never really took off along with Google TV and its starting to hurt. Logitech has slashed Revue price from $299 to $99. What a steal for such a little device. Logitech has promised that when Android 3.1 update comes that customers can experience a smoother platform and more access. Hopefully this doesn't kill Google TV all the way as the platform is nice, but needs a lot of work.